Last weekend spend an hour on the phone with my junior brother and when we had finished catching up with family news and other related business, he told me he had noticed from my pictures that I had lost weight. I was happily surprised. Not that I have a problem with weight loss but I am more conscious of what goes into my body and a logical consequence is an overall improvement of the quality of my health. If that comes with weight loss, great! Make the conscious decision to lose weight. That is the first step towards permanent weight loss. I made the decision last year in October to build my dream body. Ripped abs and pumped up chess. When a friend asked me why, my reply was “why not?” I will achieve my desired result for two reasons: 1. Because I can 2. Because the process and discipline it requires will help me in every other area of my life. Make the decision and have your “whys” ready. Drink lots of tea. 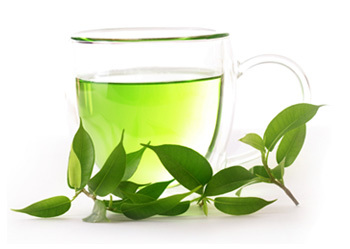 Since about November of last year, I have been drinking a lot of green tea, which contains lots of antioxidants and helps improve metabolism. My green tea consumption is now at two to five bags every day. That seems to be working and I encourage you to drink more tea. One factor that helps is that the water cooler in the office is next to Coke vending machine and (almost) every time I am tempted to buy a coke, I fill my cup with hot water and make myself a cup of tea. Replace soda with hot green tea and you will be on your way to simple weight loss. Begin an (easy) exercise routine. An easy exercise routine could be as simple as walking for 30 minutes every day or stretching when you wake up in the the morning. What prevents many people to start exercising is that they see the final result (people in top physical shape) and don’t want to accept that the process to that result takes time and daily dedication. I have been walking every morning for an hour since January 1st and when I cannot go walking because of an early morning appointment, I do stretch exercises, push-ups and squats in my bedroom before taking a shower. I have bought a few books that explain many different weight loss strategies. The bridge between someone reading the book and loosing the weight is consistent daily action, which I have started and am engaged in. You don’t actually need the books, unless you love reading and can use some motivation to get you started. If you want to lose weight: make the decision, drink green tea, exercise daily and have fun in the process. To your success!